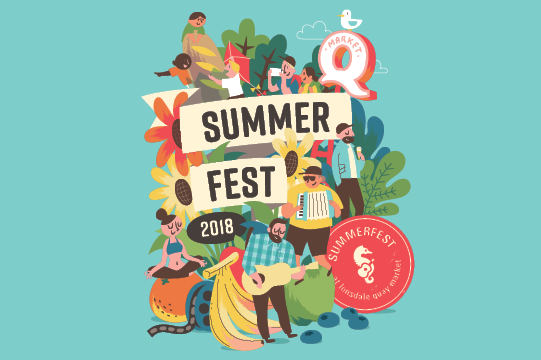 The weather is heating up meaning summer is almost here, and we couldn’t be more excited here at the Market to share SummerFest 2018 with all of you! Celebrate all summer long with the Lonsdale Quay Market, with fun exciting activities Wednesday through Sunday every week! Most of the events take place on the South Plaza, overlooking the picturesque view of Vancouver’s skyline. We have special Market hours this year too! Sunday July 1, we will be open until 9 pm to celebrate Canada Day in style. Saturday July 28th for Caribbean Fest, Saturday August 11th for the SHIPPED! Waterfront Festival, and Saturday September 1st for our Double Feature Outdoor Movie Night the Market will have a late closing of 9 pm. Get ready to mark your calendar for all the great things we have in store for you this season! Get over a mid-week slump by attending one of these yoga sessions held every Wednesday evening throughout the summer. 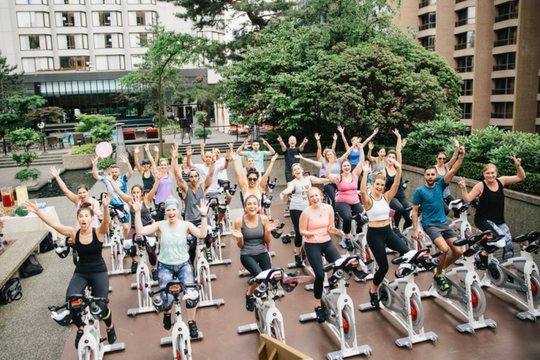 You can find Pier Sweat with Lululemon next door to us on the Burrard Dry Dock Pier, where they will be hosting yoga from 6:30 pm – 7:30 pm. 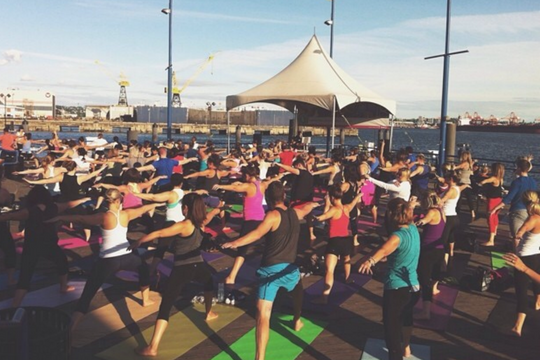 Each Thursday night throughout the summer, various fitness studios will be holding a fitness class on the Waterfront Plaza from 5:30 pm – 6:30 pm. These one hour classes will feature various cycling studios, yoga sessions, and some personal training and conditioning classes. 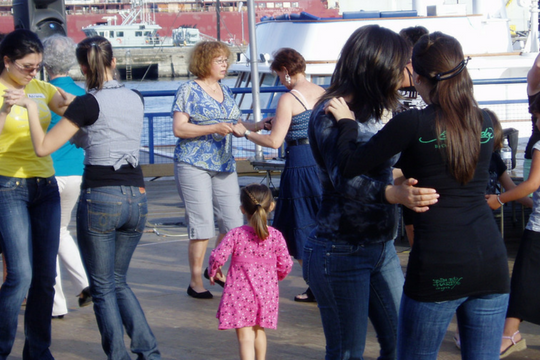 Salsa Studio will be bringing back their salsa lessons on our Waterfront Plaza every Friday night from 5:30 – 7:30 pm. The two hour lesson is available to all levels and skill sets, so you can dance your way into the weekend. Enjoy the start of your weekend outside with the whole family for Kids Yoga Saturdays. Learn playful and gentle variations of yoga techniques that are suitable for everyone and get your young ones excited to be outside! End your weekend with some tunes and come by the Market on Sundays to watch talented buskers play some songs. 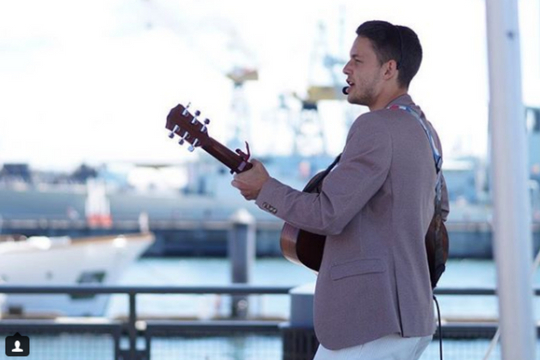 From 1 pm to 3 pm each week, a rotating list of buskers will be performing on the Waterfront Plaza so grab a bite to eat, pull up a seat in the sun, relax and enjoy the music to end your week right. On Saturday, July 14th Luisa Marshall’s spectacular and award winning tribute performance as the great Tina Turner. She will be entertaining the audience with classics on the SummerFest stage from 1 pm – 3 pm! 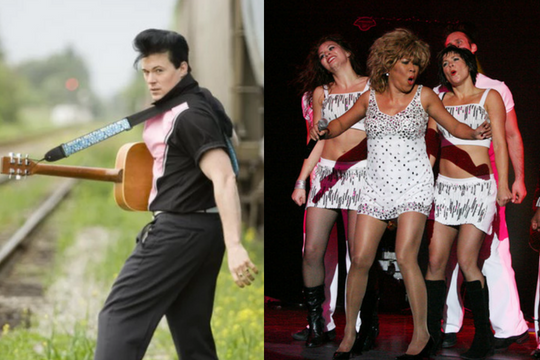 Following the great Tina Turner, internationally renowned Elvis Impersonator, Steve Elliott will be entertaining audiences with his own rendition of The King of Rock and Roll’s classic hits. Come down to the Market from 3 pm- 5 pm to see him tear up the SummerFest Stage! On Saturday, August 18th we’re holding our first ever Kids Extravaganza! A day of fun family friendly activities that are sure to be a hit with everyone! Start the day off with the Rockin’ Robin Show Throughout the day you can watch and sing along to musical performances, enjoy a puppet show and see a Lion King kite performance. Don’t forget you can also meet Moana, Spiderman and Tinkerbell! 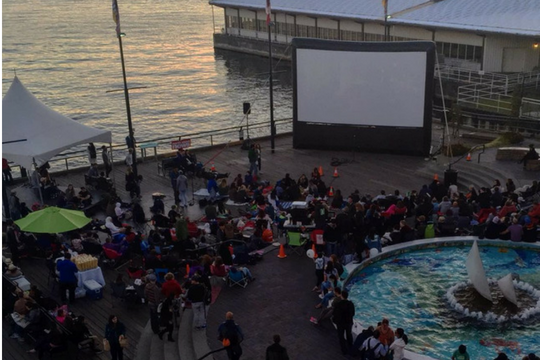 Cap off the summer with an outdoor movie experience! On Saturday, September 1st we will be showing a double feature starting with ‘Finding Dory’ at 8 pm. At 10 pm ‘The Goonies’ will follow. Make sure to bring blankets to keep you warm, chairs to keep you comfy and the whole family to keep you company! SummerFest is proud to be raising donations for the Lions Gate Hospital Foundation. The foundation raises money for publicly funded health-care facilities and assisting with programs across the North Shore. All events during SummerFest are donation based, for “Turnt Up Thurdays” the fitness studios will be donating all proceeds to their choice of charitable foundations.